Chinese firm Jiangling, the company accused of building a much-cheaper copy of the Range Rover Evoque a few years ago called the Landwind X7, has lost the legal battle Land Rover brought against it for making the rip-off SUV a little too similar to the original. The Landwind is almost an exact clone of the Range Rover Evoque and that was enough for Jaguar Land Rover (JLR) to get on Jiangling’s case, literally. A court case spanning the past three years has finally come to an end, with the judge ruling in JLR’s favour. According to Automotive News, lawyers for JLR successfully argued the Evoque has five unique styling features that were directly copied on the Landwind. 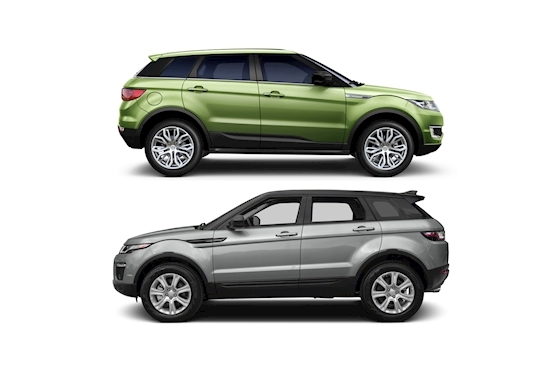 Despite laws in China that protect copycat vehicles, JLR won the case on the basis the vehicles were so similar, buyers were actually confused which was which. The Landwind X7 severely undercuts the Evoque’s price, at around 14,000 pounds ($25,000) vs the Evoque’s 40,000 ($71,000). The win is big not only for JLR, but for other brands that’ve similarly been trying to stop copycat vehicles from stealing their sales. Jiangling has been ordered to stop sales, manufacturing and marketing of the Landwind X7, and has also been directed to monetarily compensate JLR. “This ruling is a clear sign of the law being implemented appropriately to protect consumers and uphold their rights so that they are not confused or misled, whilst protecting business investment in design and innovation,” said Jaguar Land Rover’s global head of legal, Keith Benjamin. Buyers in China will have the opportunity to buy a real Evoque after the second generation of the model debuts at the Shanghai motor show in April.